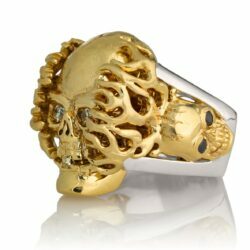 View cart “Pearls of Persephone Skull Earrings :: in Yellow Gold with White Pearl” has been added to your cart. 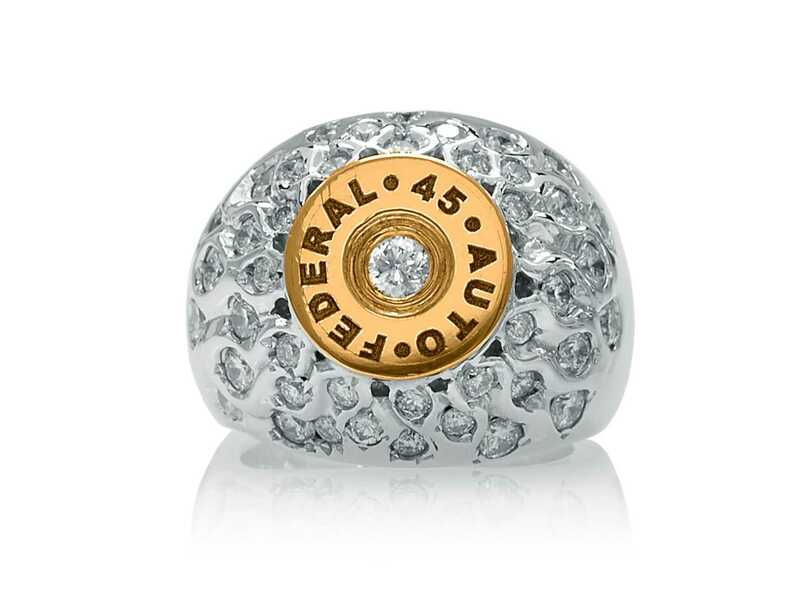 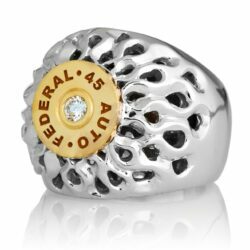 All hand crafted with 45 Federal engraved. 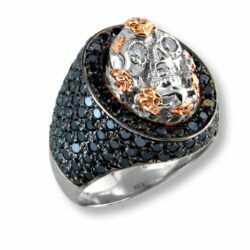 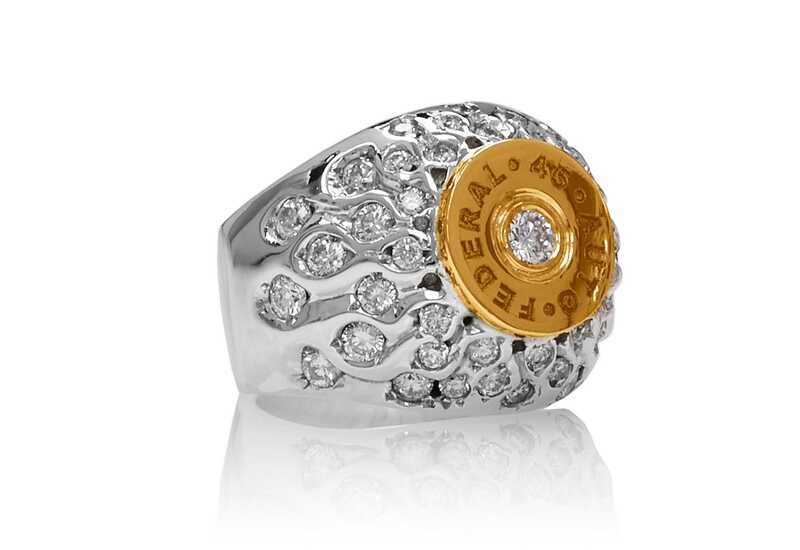 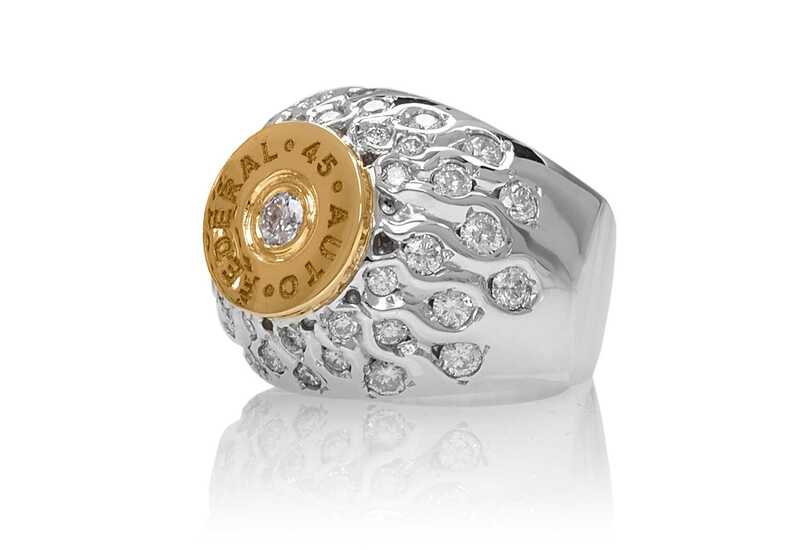 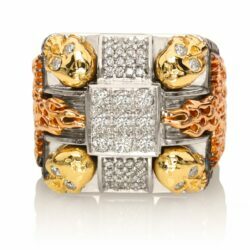 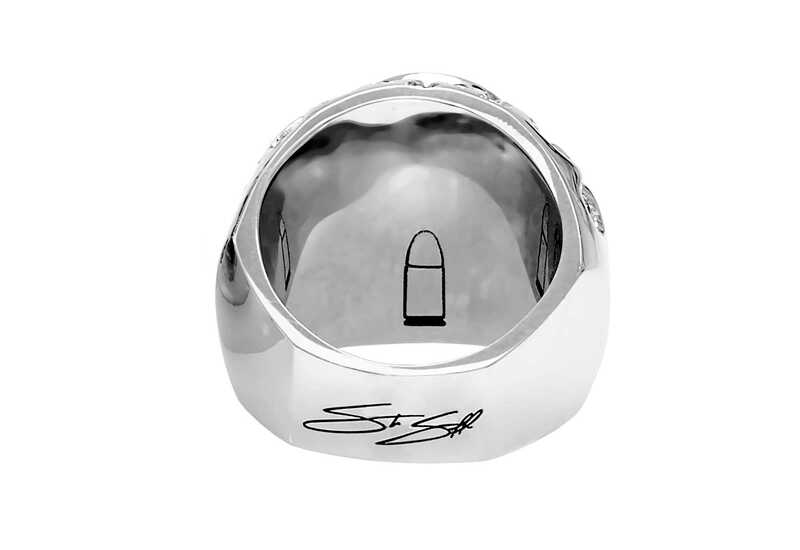 NOTE: A different caliber number or custom tag line can be engraved on the Flaming Bullet ring upon request.